The first thing I did after I installed Lightroom was to buy a couple of books. They’re a great way to learn Adobe Photoshop Lightroom, whether you’re a beginner or want to pick up some more advanced tips. So to help you get up to speed, I’ve compiled a list of the top Lightroom books. As I was putting together this directory I realized just how many great books there were. The authors are some of the most well-known, highly regarded Lightroom experts in the world, such as Victoria Bampton, Scott Kelby, Matt Kloskowski, Martin Evening and others. Many of these recommended books are available in Kindle or PDF versions as well as hard/soft cover so you can always keep them handy. This list is growing daily, so if you know of a book that should be on it, just leave me a comment down below and I’ll check it out. If it looks good, I’ll add it. I aim to make this the most comprehensive Lightroom book resource you’ll find anywhere. Adobe Lightroom Classic CC – The Missing FAQ by Victoria Bampton – Victoria, aka “The Lightroom Queen,” has written a FAQ-style book for all levels of users in a conversational tone with tips, tricks, instant answers, and ways to improve your workflow. It’s been completely updated for LR Classic CC. The very detailed table of contents lets you quickly jump to what you need to know. 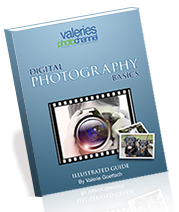 The book evolved from all the questions she gets over and over on Lightroom Forums, which she runs. It’s THE place to go if you have a problem or question about anything to do with Lightroom, and Victoria is very quick and clear in her responses. Since she’s been working with Lightroom from the beginning and works closely with Adobe engineers, she’s the go-to person (hence her nickname) if you have any questions. In addition to her FAQ, which I highly recommend, be sure to head over to her blog and download her free Lightroom Classic CC Quick Start Guide. It helped me enormously when I first started using the software. The Adobe Photoshop Lightroom CC Book for Digital Photographers by Scott Kelby This is the #1 Best Seller from author, photographer and Photoshop/Lightroom guru Scott Kelby. He offers up a practical, fun, easy-to-read guide through a complete workflow that explains best techniques and settings. It’s great for beginners who want to get up and running quickly and for anyone who wants to learn a few new tricks. A couple of the best sections are the chapters where he details his own workflow from start to finish and his 10 important tips for new users. This is one of the first books I got when I was learning Lightroom and I found it very easy to follow. Scott, the original “Photoshop Guy,” is the president of KelbyOne.com, an awesome online training site for photographers and he hosts shows on Lightroom and Photoshop at KelbyTV.com. He also does training seminars around the country, so try to catch him in person if you get the chance. Tony Northrup’s Adobe Photoshop Lightroom 6 Video Book: Training for Photographers – By Tony Northrup I first learned about Tony and his editor/wife Chelsea through their excellent photography and Lightroom video tutorials on Youtube. In this #1 best selling book, updated for Lightroom CC / 6, he’s written an engaging, easy to follow guide that explains the why, how and when to use each feature. It’s structured for both beginners as well as those already proficient, who will learn lots of useful tips and tricks. What’s really cool is that in addition to the book you get 14+ hours of video training, 250+ presets and 50+ raw files to practice on, plus a private forum. This book and the accompanying videos are great learning tools. Tony has written over 20 books including a top seller on digital photography and I hope he writes a lot more. He’s also a superb photographer. You can check out his work here. As with his Adobe Photoshop book, Martin Evening has created an extremely comprehensive manual with step-by-step directions, tips, tricks, and pro methods. He covers everything there is to know about Lightroom and tells you exactly why and how. Known as the “encyclopedia of Lightroom,” this 700+ page book is very good for beginners, and more advanced users will find it an indispensable reference. Martin definitely knows his stuff; he’s worked with the Adobe’s engineering team for years and as an award-winning beauty and portrait photographer, he knows what photographers need. View some of his beautiful b&w images here. Adobe Photoshop Lightroom CC (2015 release) /Lightroom 6 Classroom in a Book by John Evans and Katrin Straub This completely updated book for Lightroom CC has 11 project-based lessons covering the workflow, from importing through printing, as well as book publishing. It includes new sections on Lightroom Mobile as well as the new Lightroom 6 features such as HDR merge and panorama merge and face tagging. Lightroom 5: Streamlining Your Digital Photography Process by Rob Sylvan and Nat Coalson This book, segmented by module and key features, shows you step by step what all the features do and how to use them. The key sections — Library, Develop and Export — are set up in a typical workflow order. I think some of the most valuable parts of this book are the comprehensive coverage of the import and Library functions, metadata and digital asset management, in particular. Many books don’t give them nearly as much coverage. Authors Rob Sylvan and Nat Coalson are Lightroom trainers and photographers. Rob is the Adobe Photoshop Lightroom Help Desk Specialist at KelbyOne and he also teaches nature photography workshops while Nat offers training in photography and digital imaging via Photography Essentials.net. This is an excellent introduction to landscape post-processing with practical examples from one of my favorite Photoshop/Lightroom gurus, Matt Kloskowsi. Specializing in landscapes, Matt shares his own workflow and techniques. He’s got a great teaching style, friendly and straight to the point. This book is an easy read and is recommended for people who are already familiar with the interface. Matt also teaches Photoshop and Lightroom seminars all over the world, creates training videos and DVDs, and writes books (20+ and hopefully more to come), articles, tutorials and blog posts about Lightroom. He’s VP of Photography at On1.com where he also does frequent, free video tutorials on using Lightroom in conjunction with Perfect Photo Suite. He’s such a big Lightroom guy, his own custom Lightroom presets are actually featured in Adobe Lightroom itself. His landscapes are my personal inspiration. You’ll understand why if you check out his recent work on his blog. Adobe Lightroom and Photoshop for Photographers Classroom in a Book by Jan Kabili – Jan is an Adobe Photoshop, Lightroom, and Elements trainer (she’s done 40 courses at Lynda.com) as well as the host of TWiP TheFIX Lightroom & Photoshop podcast on iTunes. This book, designed for a variety of skill levels, gives you a hands-on approach via a series of projects that take you from Lightroom over to Photoshop. It includes creating HDR images, panoramas, fixing common problems like camera shake, creative effects, and compositions. While many books give you an overview of the process of making a round trip between Lightroom to Photoshop, Jan’s book is the one you want to nail down the nitty-gritty details and understand the workflow. You can also download the resource files to follow along. Zen of Postproduction: Stress-Free Photography Workflow and Editing by Mark Fitzgerald In a logical, easy to understand format, Mark shows you how to create a better workflow from importing through printing, including taking images over to Photoshop for further post-processing. It’s written for the average person on up to the more experienced user who wants to pick up some new tricks. All conveyed in a very clear, although Zen-free, manner. Founder of The Digital Darkroom, Mark is a Photoshop, Lightroom and digital workflow teacher and he’ll even come to you and train you on your very own computer. That’s pretty good service. Vision & Voice: Refining Your Vision in Adobe Photoshop Lightroom by David duChemin This is not an ordinary “how-to” book that walks you step by step through all the tools and features, rather it teaches you how to discover and identify your vision for an image and then use Lightroom to achieve it. That’s not to say that David doesn’t talk about the Develop tools; he demonstrates how you use them as a means of expression, and why. While written for Lightroom 3 and some of the sliders have changed, the concepts David duChemin conveys are timeless. I recommend this book for both newer users as well as advanced. David is a photographer specializing in humanitarian projects. Spend a few minutes looking at his amazing images from around the world. It’s well worth the time. Adobe Photoshop Lightroom 5: Classroom in a Book by Adobe Create Team This is a comprehensive project-based book with 11 lessons showing step-by-step techniques, produced by Adobe. It starts with an overview of Lightroom and how it works with your images and moves into detailed projects. You can start from the beginning and go through each one or jump to the areas you need. Photoshop CC and Lightroom: A Photographer’s Handbook by Stephen Laskevitch Stephen is an Adobe Certified Instructor who designed this book to take you through the important elements and features you need to know for an effective photographer’s workflow using Lightroom, Photoshop CC, and Camera Raw. He uses steps and diagrams and screenshots to help you understand how everything works and what is important for photographers to know. Since this is based on Lightroom 5, when the next version is released readers can get a free PDF covering what’s new. And if you want to become an Adobe Certified Expert, Stephen is the one you want to know: he helps Adobe prepare the exams. He is also the founder of Luminous Works in Seattle with in-depth classes on all the Adobe software, photography, video and more. Mastering Lightroom (5-book series) by Andrew S. Gibson This 5-part e-book PDF series covers the Library (part 1) Develop Module (Part 2), Black & White (Part 3), The Photos (Part 4) with advanced features illustrated in case studies, and The Other Modules (Part 5). Andrew is the author of 20+ ebooks and a frequent contributor to Digital-Photography-School.com. If you sign up for his newsletter on his blog, he’ll give you two of his ebooks free, one of which is Use Lightroom Better. You can also view his free Lightroom video tutorials on his blog. This detailed guide for all levels offers tips and suggestions to improve your retouching and workflow. Divided by module, it covers the Library module including importing, catalogs, preferences, keywording, tethered capture; working your way through the Develop Module’s adjustment tools; and explains the Map, Book and Print Modules with useful tips and workflow suggestions. The author, Tim Martin, is a commercial and editorial photographer who travels the world to get the perfect shot. He’s got a fun time-lapse on his website showcasing the 28 countries he visited (and 51 flights — yikes!). Lightroom 5 Made Easy by Dave Kelly Good no-nonsense overview for newbies of how Lightroom works, with lots of illustrations. It’s well organized and well written to get new users up and running. Author Dave Kelly is an award-winning wildlife photographer and Adobe Certified Instructor photography teacher. 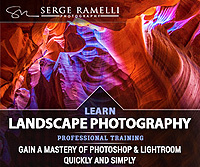 He also offers a series of free Lightroom video tutorials via his website. 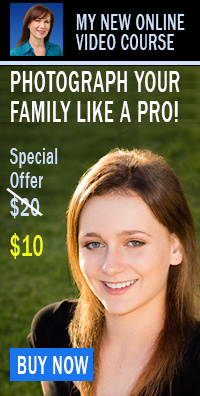 Step by step instructions on enhancing portraits and customizing your workflow. Do you have a favorite Lightroom book that’s not listed here? Please tell me about it in the comments below so I can check it out.